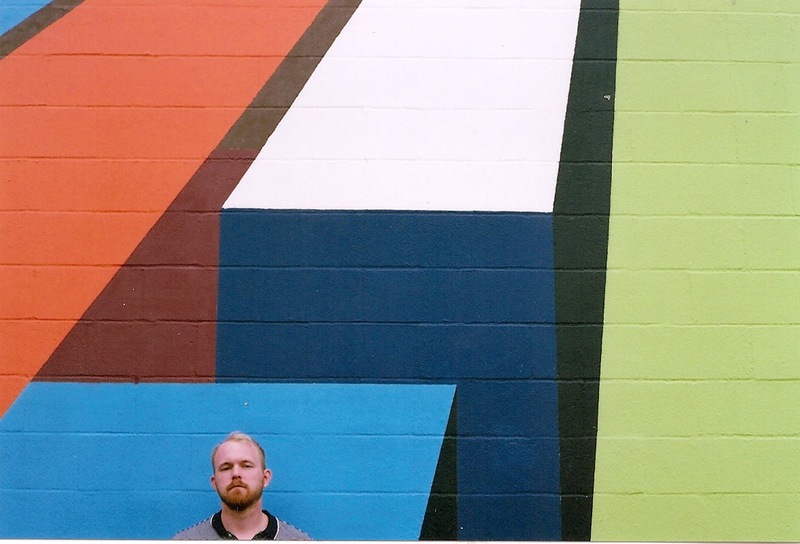 Guest Post by Portland, Oregon based, indie folk artist, Cameron Heger of Championships. Music is without doubt one of my chief loves but, it’s not my first love. Most of my earliest musical memories in involve soundtracked drives in my parents’ cars from various point-A’s to point-B’s. With mom, it was early 90’s pop radio. With dad, it was usually a Digital Underground cassette or Houses of the Holy on CD. It took me until 10th grade to pick up a guitar, 11th grade to get a drum set, and 12th grade to write some songs and to form a band with some like-minded buddies. Around the time that band began self-recording our first full-length album (a concept album about time travel, no less), I knew this was something I wanted to do for the rest of my life. I fell in love with the emotional power of a good song, the creative jigsaw puzzle of making a record, and the electric jolt of playing and singing communally in a room full of people. Over the course of college I gave most of my headspace and free time to that band. I booked shows, organized practices, coordinated studio time, designed and distributed physical and digital marketing and on and on. I knew that particular season of life, with our flood of free time, would provide our best opportunity to make music, get signed and secure our futures of music-making-as-career. Needless to say, that didn’t happen. The band continued to improve and fun continued to be had but, it became apparent once college ended that life, jobs, relationships and other passions were puling us each away from the dream of making music for a living. At first, I was heartbroken by this. The end of that band felt like the end of my opportunity to be involved in music in any meaningful way. Shortly afterward, I got married to my best friend, started an incredibly satisfying career and eventually landed in grad school. I didn’t write a single song for several years. Music had truly fallen to the wayside but, it didn’t take long for me to be OK with that. Other passions had proven themselves just as life giving and important to me. At some point I realized that my approach to making music had been very much an all-or-nothing approach —that you either had to force your entire life to orbit around it or else it wasn’t worth doing. I thought that doing all that music required of me would necessarily be at the expense of my family, my job, or my ongoing education. Being invited to be a part of a few short-term musical projects really helped change my perspective. I ended up drumming for a friend’s multi-media rock opera and for another friend’s folk rock band. These bands didn’t make huge demands of my life but still proved creatively fruitful and — just as importantly — fun. Eventually I started making the time to write songs again. At some point, the idea settled in that maybe I could do something I’d always been interested to do —track a record by myself. It just so happened that a close friend had expressed wanting to get more experience as a recording engineer/producer at the same time. We decided to work together on a six-song EP. I provided the songs and would track each instrument myself (typically a couple of guitars, drums, bass, keys, and vocals) while my friend Sam would engineer, do some additional guitar and mix. This being a casual side project for the both of us, we were only able to record one or two afternoons per month. It took us a year to finish. The record, called the Championships EP, was released in early November for free download via Bandcamp and Soundcloud. There was no expectation to sell a single copy, no expectation to be discovered and signed, and certainly no expectation to relentlessly tour to support it. The goal was to make a bright-sounding record bridging some of my primary influences: the observational songwriting and pop craftsmanship of Belle & Sebastian’s The Life Pursuit; the mangled folk tradition of Wilco’s Summerteeth & Yankee Hotel Foxtrot; the melodic warmth of Paul & Linda McCartney’s Ram. The goal was to make something I would like and to put it out there for other people who might like it to stumble across. I plan to put a small band together and to play casually around Portland a handful of times this year. I’ll continue to handle the small amount of scheduling and promotion myself exactly to the degree that it is fun and in proper proportion to the other passions in my life. I’m discovering that, for me, the DIY approach to music is not a necessary stopgap before something bigger and better—it’s the exact way I want to go about creating and distributing music. Being DIY gives me endless creative freedom, sure (and we probably don’t need another article or blog post about that aspect). But just as importantly, being DIY gives me endless personal freedom without a single obligation. The Championships EP, is available now on Bandcamp and SoundCloud. All songs written and arranged by Cameron Heger. Produced from November 2014 through September 2015 in Portland, OR. Edit: A previous version of this post neglected to list “Championships” as both the title of the EP and the band of which Cameron Heger is part. It’ll be hard to quit playing this new track from Under The Influence!